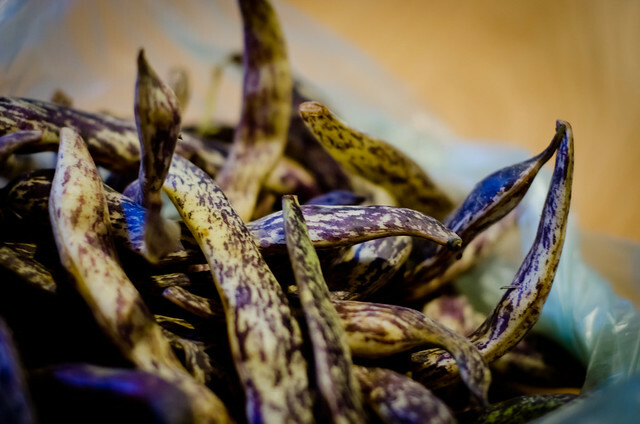 Thanks to Gopi on the facebook, we now know this is a Dragon Tongue Bean. With a name like that one would expect an exciting backstory, but my extensive research (i.e. 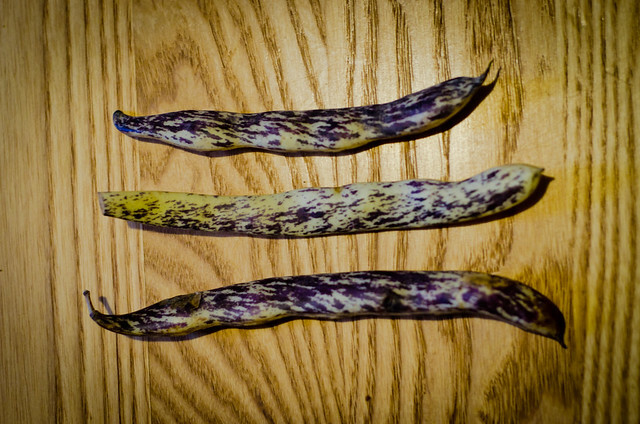 googling dragon tongue bean) has not revealed any pertinent details. This web site tells me they are also called Dragon Langerie. However, if you google that you get all sorts of results for Dragon Lingerie. The image search results indicate to me that this is a common confusion. Back to our beans. Both the bean and the pod are editable. The internets tells me they are best raw. Cale and I ate them steamed. When we cooked them they lost the fanciful coloring and looked like any other bean.